If weather is good monday I wanna do a loop around the peninsula (backroads to hansville then out to dewatto and then Gig harbor and port orchard), only problem is i cant go over 65 during break in so....itll be all backroads and barely speeding but if that sounds fun and the weather isent horrible ill probably leave fairgrounds around 10am. Would love to ride one again, preferrably at ORP. This forum provides good documentation of service history if ever required (haha). Good to hear you’re adhearing to the break-in “rules”. Or, are engine rpms automatically limited by program? Cheers! 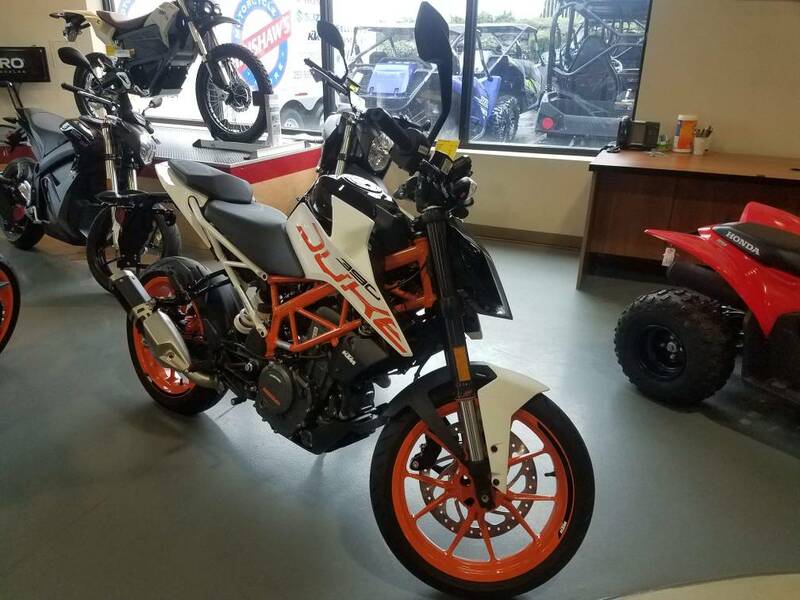 Huh, I picked up an RC390 when they came out in. Once it was good and warm it got full throttle pulls to 10.5k. But yeah, terrible bike for the highway. Not to say I have not done 350 mile days back to back on the RC390. Fun bike. Nice! I rode those and a Yamaha R3 and chose the R3, which I found smoother and more refined for the type of riding I do, and put a handlebar kit on it to raise them up. The 390 would have been my choice for tossing around in 'spirited' riding though. If I was in your area that sounds like a fun ride! Glad to hear you are breaking it in by the recommended procedure! Got to slowly wear those mated machined surfaces together. or how about 9mm vs .45? Don't forget 'The Google's' too! ORP is a fantastic track for the KTM 390’s. I noticed track day events by both 2Fast & MotoFit. Awesome bike, congrats. It's hard to stay under that RPM with a bike that likes to rev... I'm not sure how those KTM singles are, but if it has a bit of torque on the lower end, it should not be too hard. I try to get at least 100-200 miles on a new bike/engine before changing the break in oil for some synthetic and flogging it mercilessly on the track. I've usually changed the oil again after that. I've not really had an issue with engine longevity, or anything else really.